J.A. Grand Finale is a straight Spanish son of B.A. Loriana. 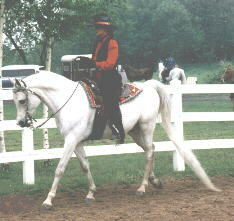 This 1988 gelding has been successfully shown in halter, western pleasure, and hunt. 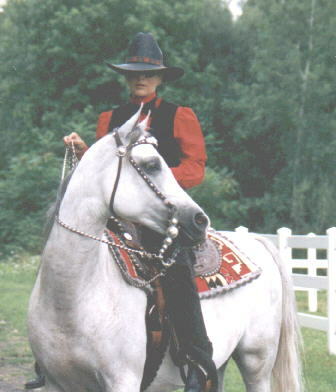 One of the most important qualities, we feel a horse needs to possess, is a great temperament. Grand Finale has a great temperament and a winning personality, that make him, a joy to be around. He especially loves the attention he receives from children. 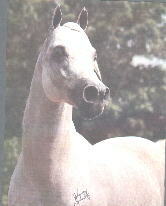 Pictured below is Grand Finale's Sire *Mel Fahkar. 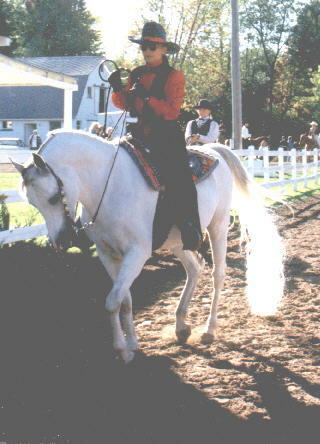 Mel was the 3-time Jr. National Champion of Belgium.